Formed in 1990, as a diversified software developer, applications services provider, and data operations center specializing in joint venture court system data and information management systems. Our focus is on electronic filing systems, court case management and document management systems, document imaging systems, subscription public access systems, and online and IVR electronic payment systems. ONE FULLY INTEGRATED SYSTEM, THAT WORKS! On-Line Information Services, Inc., has developed and successfully deployed a complete system in Alabama. 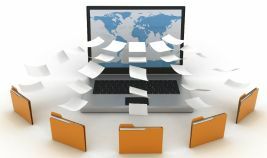 Electronic filing (AlaFile™) Document imaging (AlaVault™) Online payment system (Alapay™) Subscription public access system (Alacourt.com™) This system is the first of its kind in the United States. On December 11, 2006, the State of Alabama became the first state to deploy a statewide "integrated" electronic filing system. The system, known as AlaFile™, allows voluntary electronic filing in all civil cases (including Small Claims, District and Circuit Courts, Domestic Relations and Child Support). AlaFile™ allows electronic filing and electronic service and notification and also provides full integration of electronically filed matters into the court's document management system (DMS) and into the clerks' and judges' case management system (CMS). The significant features of integration allow for the notification services and the new concept of Electronic Orders, which allow judges to create "2 click" instant orders in many cases. The AlaFile™ system was created out of financial necessity. In 2003, the Alabama court system suffered severe funding cutbacks, resulting in the layoff of approximately 1/3 of the employees of clerks' offices statewide, along with many other court staff. In late 2004, the Chief Justice of the Alabama Supreme Court, also tasked with the supervision of the state Administrative Office of Courts, recognized that technology represented the only possible hope for maintaining a functioning court system, and decreed that an e-filing system be created and deployed in 80% of all civil courts by the end of 2006. The key is to capitalize on this investment of time and money and move into the new age of court technology. OLIS™ specializes in court technology integration. We implemented the first Integrated statewide E-filing system in the world, linking electronic filing from the lawyer' s computer, through the court' s case management system, to 2- click electronic orders generated at the Judge' s computer and automatically served upon all registered parties. The Document Management System (DMS) is the heart of E-Filing on the court side. 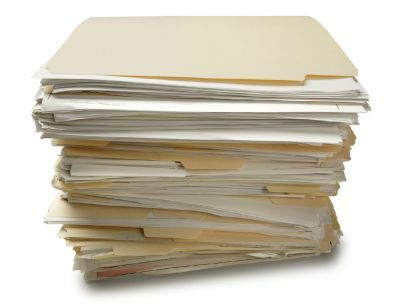 Without a robust DMS, e-filed documents merely create an electronic "mountain" of unmanageable filings, not much better than the unmanageable "mountains" of paper you are trying to replace. OLIS™ incorporates its Imaging and Document Management System (USVault™), one of the most scalable and robust Document Imaging Systems available today. USVault™ was designed to handle one of the first statewide court imaging systems, and, after several years, sustains its growth at several million pages per month - without slowdown, and with affordable growth statistics. This was the "computerized court"
OLIS™ specializes in court technology integration. OLIS™ implemented the first Integrated statewide E-filing system in the world, linking electronic filing from the lawyer' s computer, through the court' s case management system, to 2- click electronic orders generated at the Judge' s computer and automatically served upon all registered parties.. The system cannot work without the secure flow of money. OLIS™ includes the latest state-of-the-art Internet and Telephone IVR Payment systems handling credit ard and ACH payments. The system uses industry standard security measures. The entire system is operated in-house in its central operations center featuring redundant power systems (grid, natural gas generator, and gasoline backup generator) and redundant fiber high bandwidth Internet services (multiple provider over multiple fiber lines). This maximum control hands-on approach assures rapid payment clearing, accounting accuracy, and timely electronic transfer of funds to the court system bank accounts. Our approach is simple, yet quite unique. 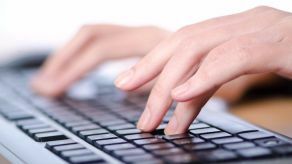 Users are willing to pay reasonable amounts for consistently high quality court data. OLIS™ pioneered subscription based Enhanced Public Access Systems to court records. This is how we got our start in 1990. Over the years, we have made our systems better and better. Ultimately, we developed the concept of E-Court Technology Partnerships with courts from which we were acquiring data. The realities of court funding proves that courts need assistance in creating high quality electronic court data. Unfortunately, only rarely are the courts provided with funding to implement state-of-the-art court technology. If the court forms a public/private partnership with a willing technology provider to implement state-of-the-art court technology, the implemented technology will provide an exponentially larger base of consistently high quality court data which the "partnership" can sell to willing subscribers, with the revenue paying for the system AND generating a revenue surplus!